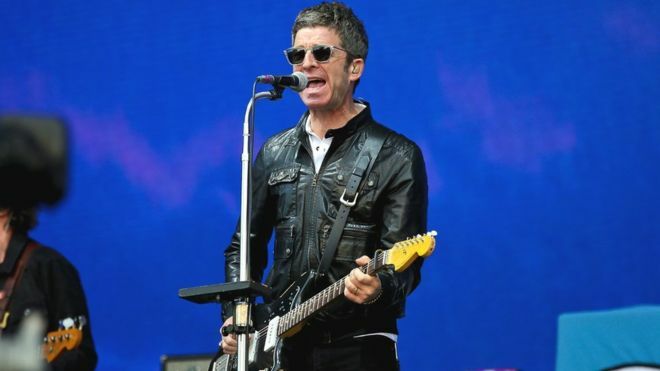 Noel Gallagher performed the 1995 Oasis classic, “Don’t Look Back In Anger”, in Perth, UK on May 26 as part of the BBC’s annual Biggest Weekend music festival, and professional video from the event is streaming online. The UK No. 1 tune was the fifth single from the group’s second album, “(What's the Story) Morning Glory?”, which went on to 14-time platinum status in the country for sales of almost half a million copies. Oasis formed in Manchester in 1991 and went on to become one of the UK’s biggest rock acts, led by Noel and brother Liam Gallagher. All seven of the group’s studio albums reached UK No. 1 before they disbanded in 2009 after selling more than 70 million albums worldwide. The rocker has just released the song as a digital bundle that includes an instrumental version and a remix by legendary DJ and producer Justin Robertson, as well as via 12” vinyl, including a limited edition picture disc. Produced by David Holmes, the album features guest appearances by Paul Weller and Johnny Marr and earned Gallagher his third consecutive UK No. 1 record. While the BBC Music's Biggest Weekend festival is traditionally held in a different UK location each year, the 2018 edition simultaneously hosted events in Perth, Swansea, Coventry and Belfast. Gallagher and company topped the bill on the second night in Perth following a May 25 headlining set by Nigel Kennedy.